Admired for its brilliant scarlet and orange autumnal colour, Acer palmatum ‘Osakazuki’ has attractive red key-like fruits which provide striking contrast to the foliage. 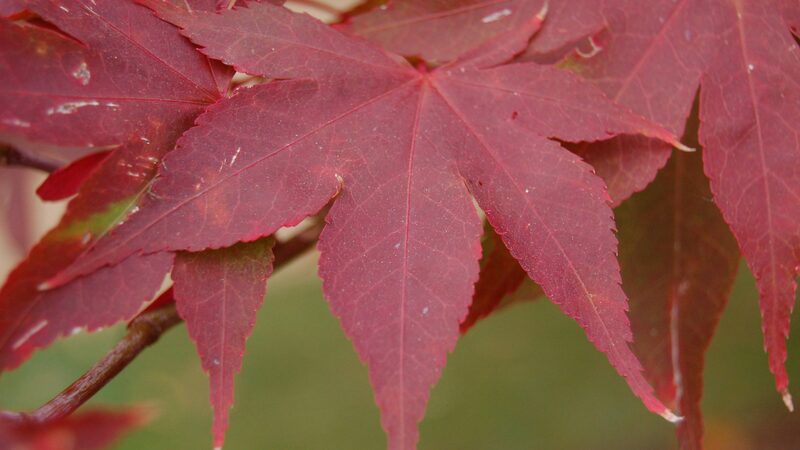 Introduced into western cultivation in the 1820’s Acer palmatum has give rise to several choice cultivars, including this one. Here the palmate, lobed leaves, which are typical of the genus, elegantly set off the paired keys of fruit, which are pink-red in colour. The Japanese maples can provide dramatic autumn colour, and this one, Acer palmatum ‘Osakazuki’ is no exception, with the leaves gradually turning from a gentle green to a vibrant red to light up the Autumn Garden.